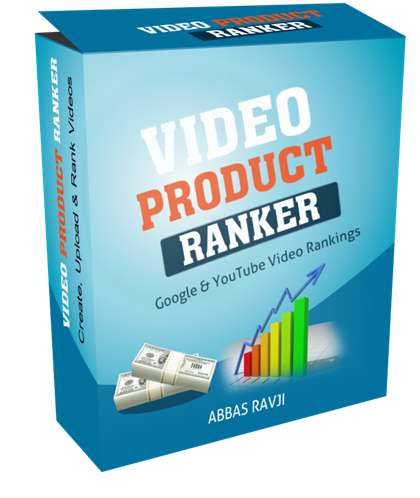 If you practice SEO or are an online marketer then the chances are you have already heard about Google RankBrain. 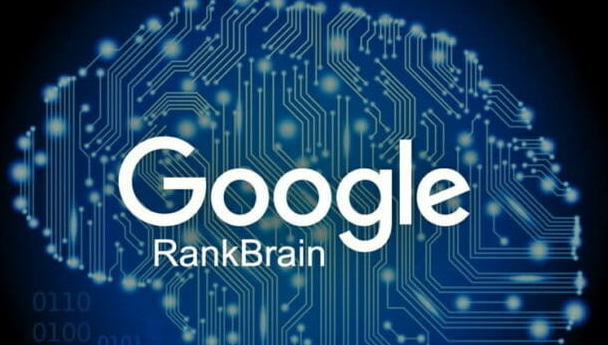 In this article we will be taking a closer look at the RankBrain update, which has been tagged as the 3rd most Influential Ranking factor for Ranking sites in Google. We’ll see why it was created. What & How it does what it does. And How we as Webmasters, SEO’s, and Online Marketers can Optimize for Google RankBrain and benefit greatly. 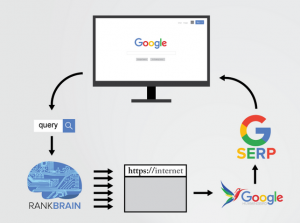 Rank Brain is an artificial intelligence (AI) program used to help process Google search queries. It embeds vast amounts of written language into mathematical entities, called vectors, that computers understand. If RankBrain sees a word or phrase it isn’t familiar with, it can make a guess as to what words or phrases that might have a similar meaning and filter the result accordingly. This makes it more effective at handling never-before-seen search queries. RankBrain is able to do this because it monitors every single search term that takes place and sees which results people click on. It’s capable of learning and recognizing new patterns and then revising the SERPS (search engine results page) based on its new knowledge. Google has hundreds of Ranking factors that go into determining what results show up in Google and what position they Rank them. According to Google, RankBrain is the third most important factor in determining the results that appear in your search queries. Google’s main priority is to satisfy as many searchers as they can. If you went on to Google and every search you made just brainwashed you with spam websites and irrelevant results, you’d probably move over to Bing, or another search engine like Yahoo. So just like every business that exists, Google has something they need to give their users in order to retain their spot as leader of search engines. In the old days of SEO, webmasters could make any website rank for any search term, all they had to do was buy enough links and stuff keywords in the content as many times as possible. 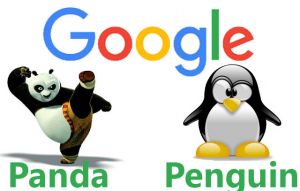 Google realized that delivering poor quality search results was having users move off of Google – hence came the birth of the Penguin and Panda updates. These updates really started to punish websites that had obviously bought thousands of irrelevant, low-quality links and ones who stuffed keywords left, right and center. Once the Penguin & Panda updates started to take place, searchers were starting to find better results that gave them a lot more satisfaction. It still wasn’t enough though, as any SEO will tell you, there is always a way to work around Googles algorithms and updates. It just takes time for the industry to figure it out. 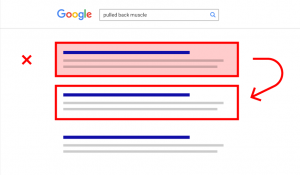 But there was another problem that Google faced… Google’s algorithm isn’t human and therefore it won’t always understand what searchers type into the search bar. This obviously came down to different slang used in different regions of the world, various synonyms that exist and the introduction of ‘text talk’. So, Google realized it had an issue, people were searching for queries that websites existed for, but it couldn’t link them up unless it hit the correct keywords. One of the most important functions Google RankBrain carries out, is monitoring every single search term that takes place and seeing which results people click on. So in the future, if anyone executes a search for mermaid logo, RankBrain will be able to provide relevant results that are based around Starbucks, which in turn, will increase user satisfaction. User experience is a vital part of Google’s business and RankBrain monitors other signals to gauge what searchers are really looking for. RankBrain monitors the results that show up for a search term and records the click through rate each result gets – before using this to determine future rankings. If the website in position 5 is consistently getting a higher click-through rate than position 4, then RankBrain starts to think that maybe position 5 is actually a better result and more relevant to what searchers are looking for. So it will then swap those two websites around and do a trial on how they perform once swapped over. If the website that’s now in position 4, still receives more clicks than it’s rival in number 5, RankBrain gives itself a pat on the back and gets back to work. These tests are running all the time, ensuring that the results Google shows are the highest quality they can be for the searchers. In a similar fashion to Click Through Rate, RankBrain monitors the bounce rate that each result gets once searchers have clicked on it. A high bounce rate signals to RankBrain that maybe that result isn’t quite up to scratch. If a large number of users click on result 3 but bounce off the website with no engagement, then they click on result 4 and interact with the page. Then surely result 4 is offering the answer that the searchers are looking for. So as with the Click Through Rate tests, RankBrain will constantly test websites with lower bounce rates higher up the search results – as this should allow searchers to find what they’re looking for quicker. 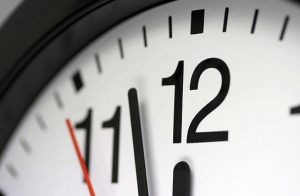 Dwell time is how long a user spends on the website after clicking the result. 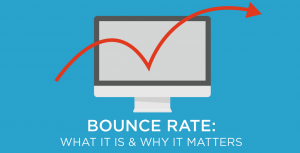 This metric is incredibly important when teamed up with bounce rate. If a website has a high bounce rate but also has a large dwell time, this signals that perhaps the page contains all the answers a user needs but doesn’t require engagement with the site or pulling users into a funnel to satisfy them. You pulled a muscle in your back playing tennis. 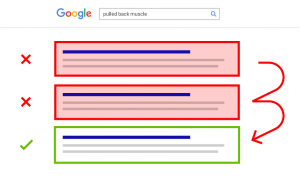 So you search for “pulled back muscle” in Google. Like most people, you click on the first result. Unfortunately, the intro is full of fluff and filler content (“Your back is an important muscle group…”). This one isn’t much better. It’s full of generic advice like “rest and ice your back”. So you hit your browser’s back button yet again and give result #3 a shot. Bingo! This result is EXACTLY what you’re looking for. So instead of hitting “back”, you spend 5 minutes reading through the page’s physical therapy routine. And because you got what you wanted, you didn’t revisit the search results. This back-and-forth is called “Pogo-sticking”. And it’s something that RankBrain pays a lot of attention to. If Google notices that people quickly leave a page to click on a different search result, that sends a strong message to Google: “That page stinks!”. And if Google notices that lots of people STOP pogo-sticking on a specific result, they’re going to give that page a boost to make it easier to find. 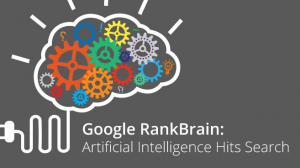 RankBrain is a fundamental part of the Google ranking algorithms. It allows Google to provide better search results to the end user based on user engagement. It’s able to monitor what listings users are clicking on, how they engage with content, how long they stay on the site, as well as its constantly running tests based on the interactions it sees. In order to optimize for RankBrain then you should try to optimize for better click-through rates. It’s also important to keep users engaged on your site, show videos using catchy headlines that draw users in, cover subjects thoroughly, and do what you can to keep them on your site. There are a number of tools already available on the net that help you boost Click through Rate, Dwell time and reduce Bounce rate. But the problem with many of these tools is that they are either very expensive to use or they lack very important features. Over a year ago we created a piece of software that allowed it’s users to boost CTR for any keyword, boost time on site and reduce bounce rate. We continued to develop the software, added new features and worked with SEO and Online marketers to perfect it. Today it has many features and has proven to provide awesome Results. When & Where can I get CTR Booster?